This column profiles five recent entries in Participedia, an open global knowledge community for researchers and practitioners in the field of democratic innovation and public engagement. For more ideas, read our review of Participedia’s top innovations of 2013. Even better, visit Participedia to join the conversation and explore over 400 experiments in new forms of participatory politics and governance. Participedia is an effort that hopes to become a key resource for scholars, activists, policy makers and citizens who are interested in new democratic practices and institutions. And it is always worth looking back to some of the most interesting cases recently added to Participedia for some inspiration. This selection from the frontlines of participatory innovation reflects both the diverse nature and the global span of Participedia. The purpose of the DEMOS project was to enable civic participation in the debate about high-profile law proposals in the Buenos Aires Legislature in Argentina, using the DemocracyOS software of the Democracia en Red foundation. The web app used was demos.legislatura.gov.ar and the initiative was open to civic participation for 35 days in November and December 2014. In the project’s first phase, citizens were invited to rank their interests about 16 bills that had been introduced in the legislature, corresponding to 12 political parties. The goal was for citizens to chose which were the 3 most important bills that should be debated online. And in the second phase, the top 3 bills were submitted for online discussion, both at an overall level and broken down into the sections of each bill. Over 13,000 citizens visited the app and almost half of them signed up to participate. The online debate phase produced several interesting outcomes: there was one bill (about nurses’ working conditions) which received overwhelming support mostly because of the mobilization of activists from the party sponsoring that bill, and there was another very controversial bill (about informal parking guards) that led to high levels of polarization and disagreement among participants. The DEMOS pilot was an unprecedented participatory initiative in Argentina’s history using online tools, and was relatively successful in terms of citizen turnout. The project was very innovative in enabling civic engagement in real-world bills that are important to the day-to-day life of citizens. One of the most interesting characteristics of DEMOS was that it was a success story of partnership with a government institution and with politicians from the whole political spectrum. Read more about DEMOS in Participedia. Biobanks, which store and catalog human tissue specimens (such as purified DNA, saliva, blood, and plasma) using genetic markers and other traits such as age, gender, blood type, and ethnicity, have come to play an increasingly important role in biomedical research. As biobanks have become more common, critical bioethical questions of privacy, ownership, and commercialization have also surfaced. A number of deliberative events have been conducted to address these questions, with the goal of enhancing communication between the research community, regulators, stakeholders, and the public. One such process was recently conducted in Tasmania. This event brought 25 participants together to deliberate. It led by faculty at the University of British Columbia and the Menzies Research Institute Tasmania. While the selection process was random, quotas were used to ensure that relevant demographic groups were adequately represented in the process. Participants learned about the issues in various ways. They were provided with an information booklet, they had access to a private portal on the project’s website, and during the first days of the process, they listened to presentations by experts and asked questions. Deliberation over a period of two weekends in April 2013, with a 12-day break of dialogue and information in between, led to 17 conclusions on eight topics. The participants showed strong support for the continued existence of biobanks in general, and a Tasmanian biobank in particular. Throughout the deliberations, participants became part of the policy-making process as opposed to mere observers of decisions made elsewhere, and this helped create a strong sense of personal involvement and commitment to the process among participants. The use of random processes to select participants helped ensure that the process included those who might not be involved in more traditional consultation processes, and this, in turn, helped ensure that a diverse range of viewpoints and opinions were expressed. Read more about Tasmanian Biobanks Deliberative Democracy in Participedia. In 2014 the City of Boston launched “Youth Lead the Change,” the first participatory budgeting process in the US focused exclusively on youth. Its goals included civic education and engagement, and the inclusion of youth voices that are typically excluded from politics in the City’s capital planning process. Participants were primarily from Boston public high schools, and participation rates were high among young people of color from low-income neighborhoods. The process, which was implemented by the Participatory Budgeting Project organization, had several key stages. First, a Steering Committee made up of youth organizations was established, and this Committee created a rulebook to guide the process. Second, youth assemblies were held in neighborhoods throughout Boston to generate ideas and identify priorities. This stage of the process generated 473 ideas and funding proposals, which were then divided into six categories by organizers. Third, a core group of young people was engaged as Change Agents to turn the ideas identified in the youth assemblies into specific investment proposals. They engaged in a dialogue with City officials who helped determined whether or not the ideas were eligible and feasible. The City also provided cost estimates for individual proposals. The Change Agents made collective decisions deliberatively using a decision matrix that considered various factors including feasibility, impact, and need. Ultimately, 14 proposals were identified as priorities. At the end of the process, the Change Agents held a vote to determine which 7 priorities would be funded through the 1 million dollar youth budget. Read more about Boston’s Youth Participatory Budgeting in Participedia. Vouliwatch was launched on March 16, 2014 and went viral on the same day on Greek social media. As of January 2015, the project had 44.470 unique visitors. So far, 1048 participants have submitted 409 questions to their representatives and the site has generated 25 crowdsourced policy ideas. Importantly, representatives have also embraced the project. They have, thus far, provided 50 official answers to questions raised by citizens. The web application has five main functions: 1) it provides individuals with an opportunity to ask their representatives questions; 2) it functions as a source of crowdsourcing; 3) it helps citizens monitor the voting behaviors of representatives; 4) it provides users with a direct newsfeed of Parliamentary events; and 5) it provides an online debate forum that is, in effect, a “live” political chat lab. Two additional features were introduced for the 2015 general election: 1) a “Policy “Monitor” function that allows voters to compare and evaluate party platforms; and 2) a “Candidate Watch” function which makes it possible for citizens to interact directly with candidates. 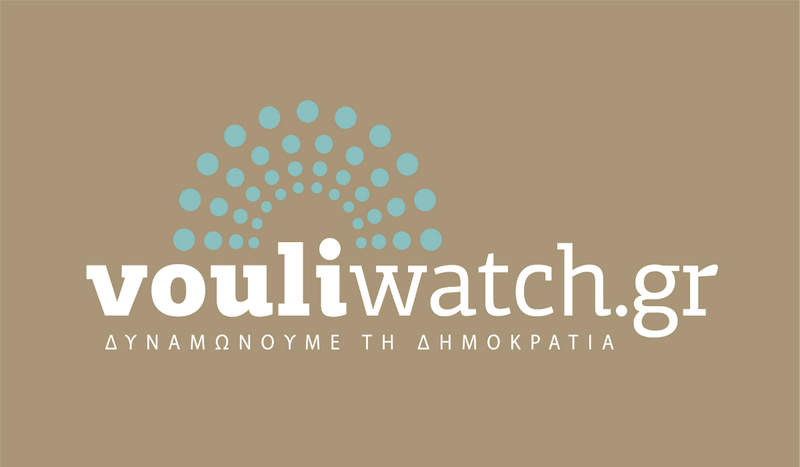 Despite widespread public skepticism of political institutions in Greece, the reticence of Greek politicians to engage their publics, and the divide between those with easy access to the internet and those without, Vouliwatch has managed to establish itself as a credible, non-partisan and independent source of information that extends beyond the limits of traditional online organizing efforts. In addition to partnering with numerous civil society organizations to promote open government (both locally and abroad), Vouliwatch has also sought close cooperation the Greek Parliament’s administrative system and the Ministry of Reform and e-Government in particular. Organizers and proponents of the site have been asked to join the Forum of the Open Government Partnership, which will assess opportunities for institutional reform in Greece. Read more about VouliWatch in Participedia. Tunisia’s democratic transition was one of the more successful revolutions associated with the 2011 Arab Spring. Tunisia has a new constitution that was developed through an extensive, representative, and participatory process. The participatory components of the process were supported, in part, by the expertise of the United Nations Development Program (UNDP). As part of this effort, the UNDP sponsored and organized a dialogue between elected officials, individual citizens, and civil society organizations in Tunisia’s 24 governorates. In total, 80 members of the National Constituent Assembly were involved in the process. They were trained in the art of drafting legislative and constitutional clauses, and they were introduced to different public consultations techniques and procedures. In turn, more than 5,000 individuals and 300 civil society organizations participated in the dialogue. The fact that public officials were meaningfully engaged (and committed) to the process helped ensure that the contributions of citizens and their organizations were taken into account during the drafting of the new constitution. The UNDP process also aimed to include two groups who are typically underrepresented in Tunisian politics: 1) young people; and 2) women. The Ministry of Higher Education worked with universities to encourage students to participate in the process, and a total of 320 students made contributions to the dialogue. The process might have been made even more representative if young people outside the university system were encouraged to participate as well. The representation of women was encouraged by a parallel UNDP program, which trained 4,200 women and sensitized them on democratic processes, with a focus on the constitutional process. This effort to include women is notable given the region’s track-record on women’s rights. Read more about Tunisia’s Constitution Drafting in Participedia. We look forward to another year of great new ideas and insights from these and other innovations in public participation in 2015. If you have an idea you would like to share, contact us or add it to the comments below! Also note that the Ash Center will soon announce the finalists for its special Innovations in American Government Award recognizing government-led innovations that best demonstrate enhanced public engagement and participation. A key feature of the Ash Center’s Challenges to Democracy public dialogue series, the winner of the Roy and Lila Ash Innovations Award for Public Engagement in Government will receive a $100,000 grant to support replication and dissemination activities. Tomás Insua is a Master in Public Administration candidate at Harvard Kennedy School and a research assistant at the Ash Center for Democratic Governance and Innovation. Michael MacKenzie holds a PhD in Political Science from the University of British Columbia. Currently, he is a Democracy Fellow at the Ash Center.